The ArduPilot is a small Arduino comparable board designed for UAVs, quadcopters, and other whirligigs not powered by rocket motors. To get real-time telemetry from his rocket, [Kevin] attached a GPS receiver and an XBee transmitter. When launched on an H165 motor, [Kevin] was able to keep a radio lock on his rocket, allowing him to pull down data in real-time. 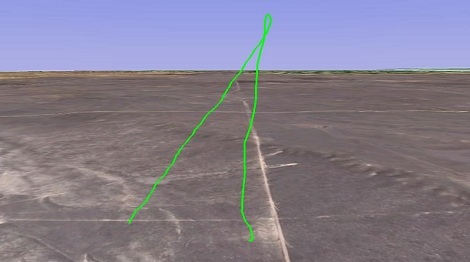 There are a few drawbacks to using the ArduPilot to collect flight data; the ArduPilot only reports ground speed, a somewhat useless feature if the vehicle is going straight up. Also, there is no way for [Kevin] to record data to an SD card; the ground team must be able to receive the XBee, lest bits of data go missing. For most rockets the radio issue shouldn’t be a problem. [Kevin] launched the same hardware on a J motor and was able to receive data from 3600 AGL. Which one? They’re all working for me. Cool project & nice documentation! The parts (not including any of the rocketry) for this project cost >$400 in total. Aside from the real-time receipt of data (and the fun of building an arduino-rocket project), what benefit does this setup have over the $69 Jolly Logic AltimeterTwo, which records the following data to an on-board dongle: Motor Burn time (sec); Peak Accelleration (G); Average Accelleration (G); Top speed (MPH/KPH); Coast-to-Apogee time (sec); Apogee to ejection time (sec); Peak altitude (‘/m); Ejection altitude (‘/m); Descent speed (mph/kph); and total flight duration (sec)? This is a very cool project! The parts for this project exceed $400, not including any of the rocketry gear. What data does/can it provide that is not captured by the $69 Jolly Logic AltimeterTwo, which records motor burn time, average and peak acceleration, top speed, coast-to-apogee time, apogee height, apogee to ejection time, ejection altitude,descent speed and total flight duration on a dongle? As of now one year later the links do not work. Chrome says the site failed DNS.